How frustrating is it when you spend all those dedicated hours in the gym working on your strength gains, and nothing happens? It’s a common story. And there are several really good reasons why you might not be gaining the muscle you want. Read this post and get started building muscles at the gym! In the same way that weight loss occurs in a calorie deficit, weight gain can only occur when there are more calories than you expend. Of course, during this process we want to minimize fat accumulation, and maximize lean muscle development, so the amount and composition of the food we eat becomes very important. In addition, remember that excess calories are stored as fat if they aren’t used. To gain muscle and minimize fat, keep the calorie excess above and beyond your BMR and exercise requirements to around 250 calories for men, and 150 for women. If you want to bulk up with muscle, you have to ingest protein from either plant or animal sources to provide the essential amino acids that the body can’t manufacture on its own. Muscles are made up of amino acids, and in the absence of these, we simply can’t build more. Complete proteins are easy to find. A high protein diet rich in amino acids will allow for maximum muscle growth. And don’t worry if you’re a vegetarian or vegan. Complete protein is easy to find in plant based foods such as quinoa, rice and beans, and peanut butter and jelly sandwiches. For the busy fitness enthusiast, protein shakes are an easy way to get a big dose of protein quickly. Whey isolate protein shakes are popular among bodybuilders, and vegetarian/vegan athletes can find pea, hemp, soy and other plant based protein shakes to help them meet protein requirements. Locally, Whole Foods has locations in Folsom, Roseville, Sacramento, and Davis where you can find a wide variety of protein options that don’t contain the nasty fake sugars that will work against your training. Muscles are built with proteins, so it’s all about the protein, right? Wrong. Muscles also cannot be built without energy. Most men and women interested in putting on some lean muscle are adhering to a high protein diet, but it also needs to contain enough complex, unrefined carbohydrates to provide energy to the body and avoid muscle catabolization. Muscle catabolization, also called muscle wasting, happens when you don’t feed your body enough energy (carbs) and it has to break down the existing muscle to use for energy. In a muscle building phase of training, the body needs more energy in the diet to avoid muscle catabolism. Later when you’ve reached the muscle gains you want, you can lower carb intake to lean out. Pre workout and post workout snacks become an important part of this equation since, for most people, energy expenditure at the gym typically outweighs the rest of the day. 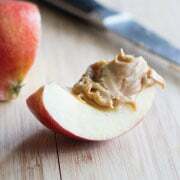 Make sure to eat your post-workout snack within 30 minutes of your workout to replenish energy stores and avoid wasting that hard earned muscle. Water does a lot of really important things in the body. Not surprisingly, it’s also required in sufficient amounts if you expect to make any strength and muscle gains. Water is required for digestion, performance, and repair. Digesting your food is important if you want to access all the carbs and proteins you are ingesting in your attempt to make gains. Performance is decreased and fatigue can set in when you experience dehydration, limiting how hard you can hit it when you are in the gym, and lastly, repairing the small tears in muscle fiber created by a killer workout is how our body builds more muscle. If enough water is missing from the equation your muscles won’t repair and grow. How much water do you need in one day? A good rule of thumb for water intake during body building is to drink 1 liter for every 1000 calories you expend. So if your calorie requirement is 2500, then 2.5 liters is a good place to start. Check with your doctor or trainer for a more tailored recommendation, since some medical conditions require more or less water intake to maintain optimum health. If you aren’t getting enough sleep, you aren’t maximizing the body’s ability to build big beautiful muscles. Skimping on all important sleep can thwart your fitness efforts in more than one way. Repair of tiny tears in muscles, tendons, and ligaments occurs mainly at rest. Naturally, if you aren’t getting enough rest, your body doesn’t have the time to repair your body’s infrastructure and you won’t see muscle or strength gains. Get a full 8 hours and make sure they are good ones. Avoiding alcohol and caffeine before bed, sleeping in a dark room, and keeping a regular sleep schedule are all ways you can prepare for a good night’s sleep.